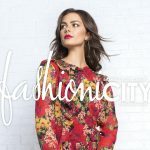 Styling the Spring 2018 campaign for Bramalea City Centre. © Erica Wark - Erica on Fashion. All rights reserved.